But experts are concerned about the privacy implications. Ever have trouble putting a name to a face? 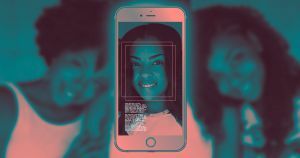 The creators of SocialRecall say their app uses facial recognition to scan people you’ve met before — or even strangers at an event — and tell you their names. It’s a bold vision of a future in which facial recognition provides contextual information about the people around you — but also an inflection point in the mainstream deployment of a technology that troubles privacy advocates. There are two versions of the app, according to Scientific American. In one version, a user upload selfies that SocialRecall then uses to identify the person for other app users within the bounds of a specific geographic area, such an event venue. Another version is designed for users with prosopagnosia, better known as face blindness. That version lets a user tag images of their own friends so that the app can remind them of their names on the fly. SocialRecall says it deletes obsolete user data on the event version of the app, and that data for the other version is only stored on a user’s phone. But privacy experts are still concerned that the app represents a mainstream rollout of technology that could have profound implications for the future of public spaces — and that it’s difficult to adequately inform users about the long-term risks of a technology that’s still so new. Big Tech Splits Over Privacy Issues, at Least on the Surface.